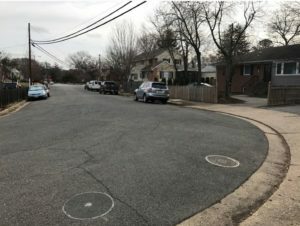 This area was selected for improvement because the intersection of 6th Street North and North Emerson Street has a sharp bend that leads to the intersection of 6th Street North and North Edison Street, which is extremely wide. The large width of this neighborhood intersection makes it easy for cars to travel quickly through this area, even while turning, and makes for a longer pedestrian crossing. North Edison Street is a bike route that leads to the Bluemont Junction Trail, one block north of the project area. The County is targeting fall 2018 for the implementation of these tactical/interim improvements. 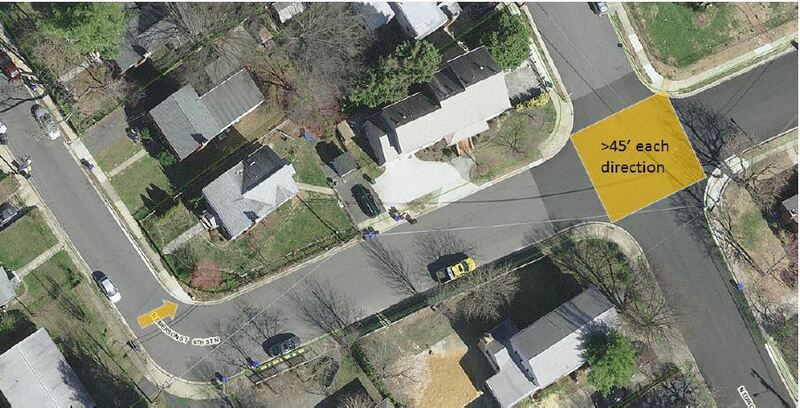 The Neighborhood Complete Streets (NCS) Program asked residents to tell the County where street improvements are needed on our neighborhood streets. In spring 2017 we received more than 360 applications for safety improvements, which resulted in a list of 169 eligible potential projects. Staff began the process of scoring projects based on criteria approved by the Arlington County Board. The demand for improvements to neighborhood streets exceeds our ability to analyze all the submissions with traffic studies to confirm speeding and quantify the volume of vehicle traffic in each of the 169 locations. Collection of traffic data is ongoing, but will take some time before we have a complete scored and ranked list of projects. 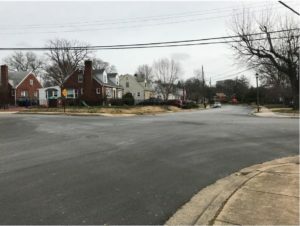 All three projects involve improvements to problem intersections (where vehicle crashes have happened) in locations with bicycle or transit routes and other pedestrian generators nearby. These projects were ranked high on the NCS project list based on available data. Limitations to scope, schedule and budget were considerations in the selection of these three pilot projects, as we continue to evaluate the full list of submitted problem street locations. In June 2018 an online comment form was available for residents to provide input on the design options. The comment period ended June 29. County staff and the Neighborhood Complete Streets Commission encourage ongoing feedback about the changes once they are implemented. The 2016 Capital Improvement Plan (CIP) dedicated funding for these improvements through the Neighborhood Complete Streets Program.